We all love Carpool Karaoke with James Corden! It seems like the ideal day out. Driving around Los Angeles, singing with Adele or laughing with Chewbacca lady – a mum’s day couldn’t get much better! 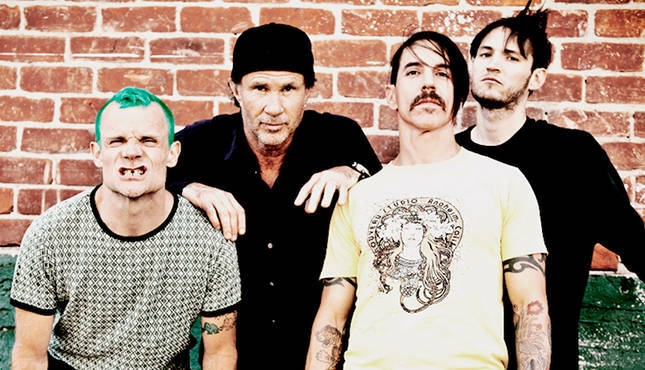 But this week’s guests were the Red Hot Chili Peppers. Squeezed in the car were Anthony Kiedis, Flea, Josh Klinghoffer and Chad Smith with Late Late Show Host, James Corden for that much awaited ‘Carpool Karaoke’ Segment . They rocked out in the tune of hit RHCP songs like Give It Away Now, Californication and Under The Bridge, exchanged stories and indulged in some wrestling on someone clueless guy’s lawn. Corden lost the wrestling match because, well, he was laughing a lot! “It’s difficult to wrestle when you are laughing that much,” Corden said after losing. During the last leg of the carpool trip, Anthony felt encumbered and can’t seem to stand wearing a shirt for the entire segment. Kiedis removed his top, took off his shoes while James and Flea joined in on the ‘shirtless trend’ going on the car. “As soon as I took my top off it just made me feel great,” James, said. As the segment drew to a close, James thanked the group for such a great time. Watch the entire Red Hot Chili Peppers Carpool Karaoke video below!